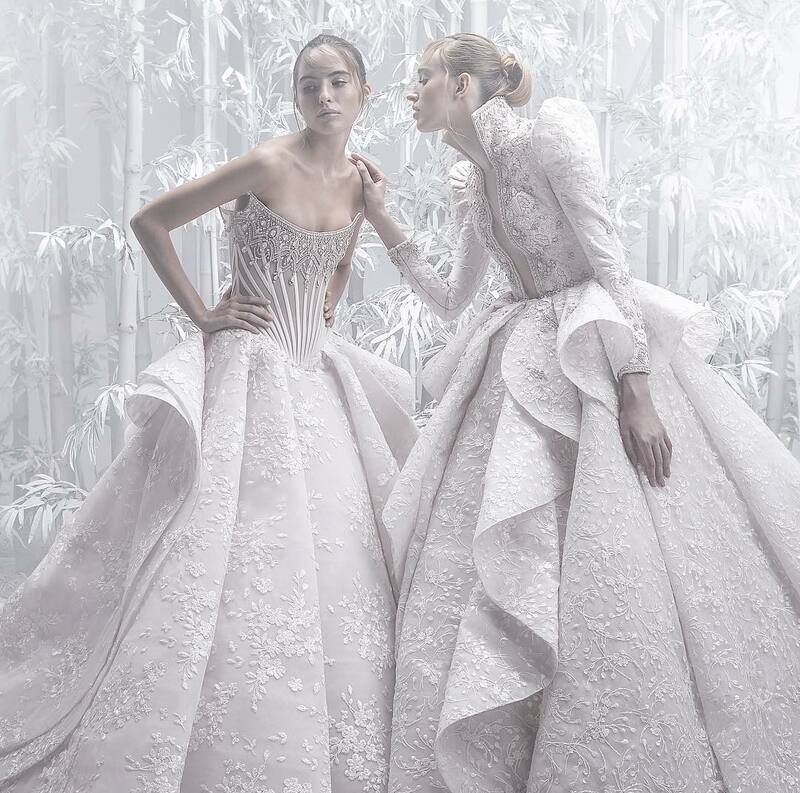 The English gardens of Great Dixter in East Sussex inspire Alexander McQueen's SS18 collection. Debuted on the runway, this Italian-made poppy-red dress is cut from airy swathes of pleated organza in clashing floral and check prints. 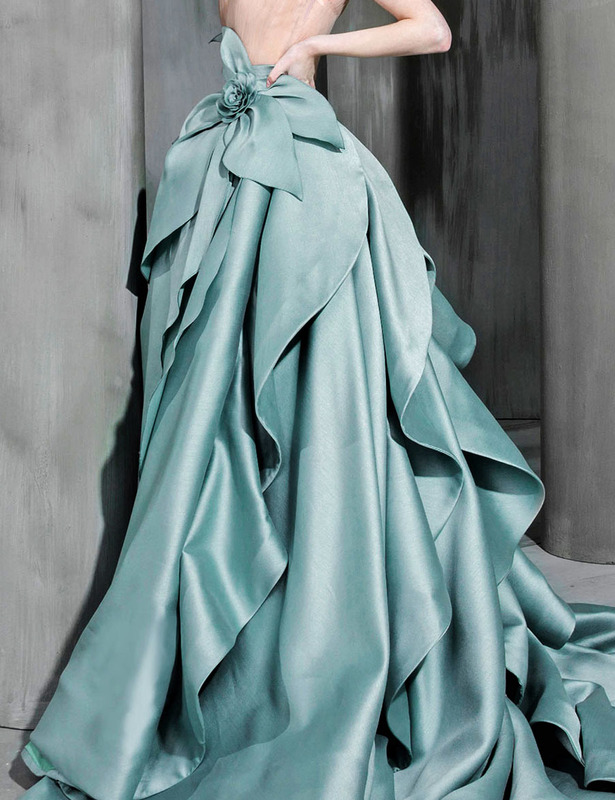 It suspends from a shoulder-baring sweetheart neckline before flaring from the hips into a full skirt. Emulate the show's punkish styling by teaming yours with edgy black accessories. 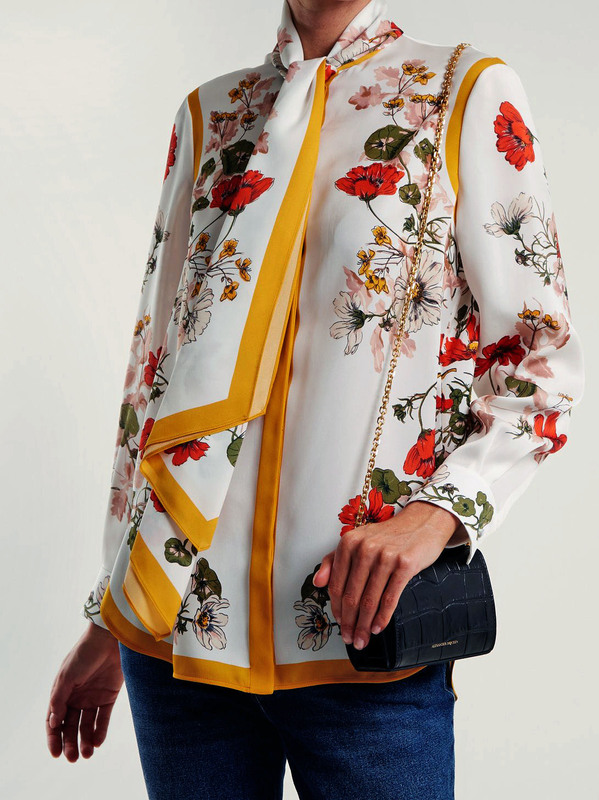 A country house and garden theme ran through Alexander McQueen’s Resort 2018 collection, as demonstrated by this white silk-crepe blouse. It’s decorated with a detailed botanical print with lustrous marigold-yellow trim, and cut for a long-line silhouette with a step hem. For a contemporary riff on a ladylike style, knot the coordinating neck ties to resemble a scarf. Tweed is a key fabric of Alexander McQueen's Resort 2018 collection, and the red, pink, and white iteration used to craft this blazer is exceptional. 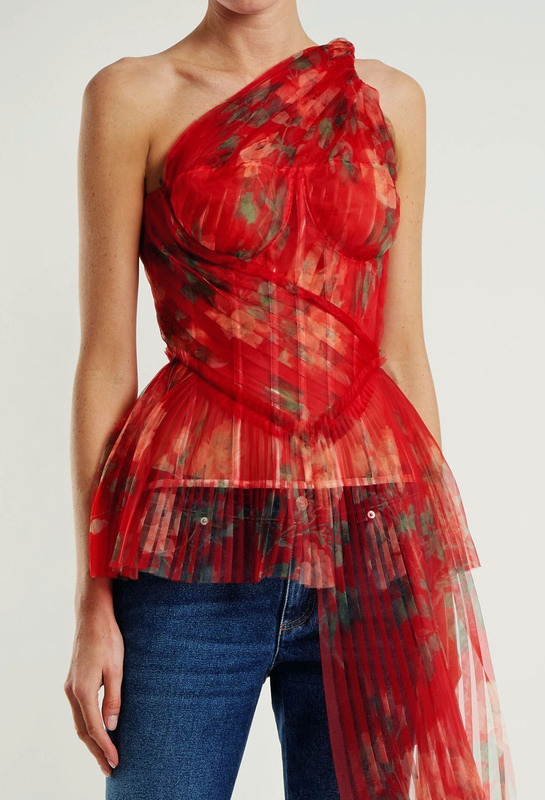 An exclusive style to the house, it's woven in Italy with red silk-organza petals – a detail that nods to the botanical works of American artist Cy Twombly – and then tailored to a single-breasted shape, with padded shoulders, raw cuffs, and a coordinating hem. Leave it open over a blouse to reveal flashes of the light-pink silk lining. Sarah Burton looks to classic English tweeds – and deconstructs them to stunning effect – for Alexander McQueen’s Resort 2018 collection. First seen in the label’s presentation, this red and white handkerchief-hem dress is shaped with a waist-whittling bodice and has wispy yarns that have purposely been left loose. The moulded cups and striped shoulder straps frame the décolletage beautifully. Keep accessories to a bare minimum.